Using the work list from the HELMED® IFA Processor will carry all the information from your sample, lots, expiry dates, automatic processing data, operator etc. 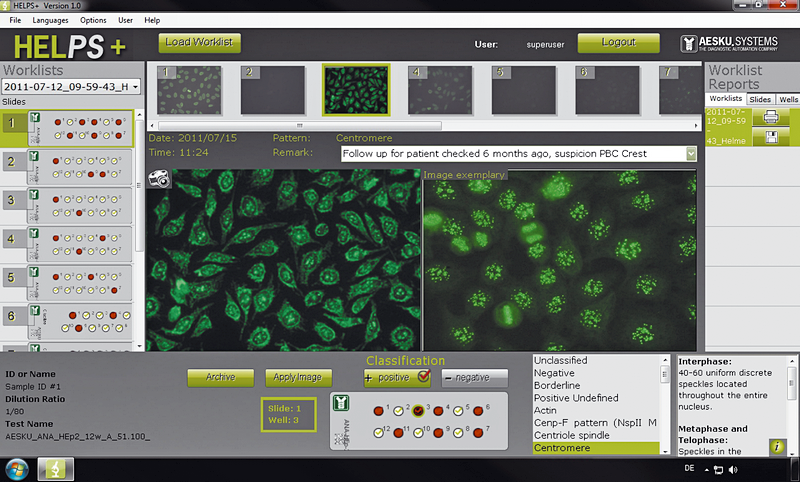 Using PC screen on the microscope room with easy short keys for logic navigation throughout your slides and wells. Select an entire work list, or one specific slide or well to view or print. The well report includes a real picture from the microscope if an image has been saved. User access level with password for user, superuser and administrator.